Bringing the best in house music to three resorts in Palm Springs: Renaissance Palm Springs, The Saguaro Hotel & Pool, and Riviera Palm Springs. One pass gets you entry to all resorts and shuttles running between locations. Hotel packages include festival passes and accommodations. Add an After Hours pass for access to the night program at the Palm Springs Air Museum. A vibrant house-party-playground where the most colorful summer memories are made. Whether you come for the sun, the spas or the style, there’s an undeniable lure to this oasis of desert modern. Now there’s a place to lay your head while soaking it all up. 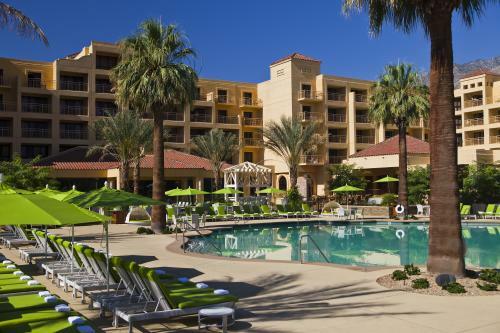 The Saguaro Hotel brings with it a new sense of color, comfort and nationally recognized cuisine. If you ever needed another reason to escape here, you have one now. ROOMS ARE ALMOST SOLD OUT! Renaissance Palm Springs Hotel is Splash House central featuring 400 rooms, endless panoramic views, and a pool deck built for dancing. 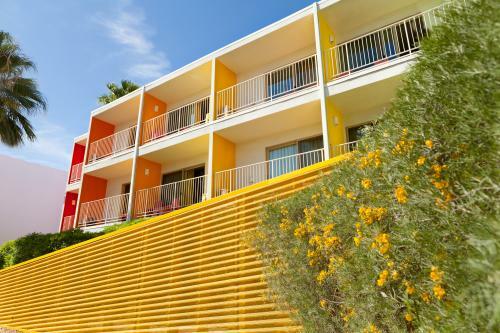 Deluxe guestrooms, an oasis-style pool, walk to shopping, entertainment, and museums in the village of Palm Springs. Complimentary airport transportation. ROOMS ARE FILLING UP FAST! Riviera Palm Springs is a bass oasis that exudes luxury; find sprawling lush grounds and the only stage with front-float views. Nestled on 24 lushly landscaped acres in the heart of the art and antique district of Palm Springs, Riviera features luxuriously appointed guestrooms, world-class dining, Noble House&apos;s award-winning Azure Spa, two sparkling pools, two retail boutiques, and an array of recreational activities.